Wonder (film, 2017). A 2017 American comedy-drama film with "PG" rating by Lionsgate/Lions Gate Entertainment. Directed by Stephen Chbosky. Official Trailer. Wonder is a 2017 American comedy-drama film directed by Stephen Chbosky. 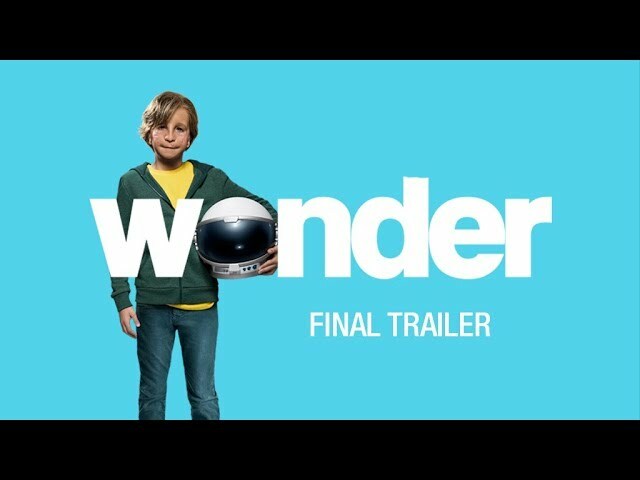 Wonder (2017 Movie) Final Trailer - "You Are A Wonder" - Julia Roberts, Owen Wilson. August "Auggie" Pullman is a 10-year-old boy living in a brownstone in Brooklyn, New York, with his mother Isabel, father Nate, older sister Olivia "Via", and dog Daisy. He was born with a rare medical facial deformity, which he refers to as "mandibulofacial dysostosis", and has undergone 27 different surgeries as a result. Auggie has been home-schooled, but as he approaches fifth grade, his parents decide to enroll him in Beecher Prep, a private school. Before the school year begins, Auggie meets with Mr. Tushman, the principal, who arranges a tour for him with three other students: Jack Will, Julian Albans, and Charlotte Cody. When school starts, Auggie is initially ostracized by nearly the entire student body, but soon forms a close friendship with Jack. For Halloween, Auggie dresses in a Ghostface mask and cloak when Daisy ruins the Boba Fett costume he was planning to wear. He walks through school upbeat and confident due to the anonymity his costume affords him. However, as he enters his homeroom, he overhears Jack, who does not recognize him, joining in with Julian and his friends in making fun of him behind his back. He becomes sick, forcing his mother to abandon her mother-daughter day with Via to bring him home. Though she is hurt, Via convinces Auggie to go trick-or-treating with her, as she has been rejected by her own former best friend Miranda. Eventually, Auggie forms a new friendship with a girl named Summer and confides in her about his split with Jack. Jack, puzzled by Auggie's change in attitude toward him, asks Summer why, but she will only give him the clue "Ghost Face". In science class, realization dawns on him, and he resolves to partner with Auggie instead of Julian for the school science fair. When Julian angrily confronts him in the hallway and calls Auggie a "freak", Jack punches him and the two fight. Jack writes a letter apologizing to Mr. Tushman for his actions, and Mr. Tushman, understanding Jack was defending his friend, suspends him for two days rather than expelling him. Jack later apologizes to Auggie and they reconcile. 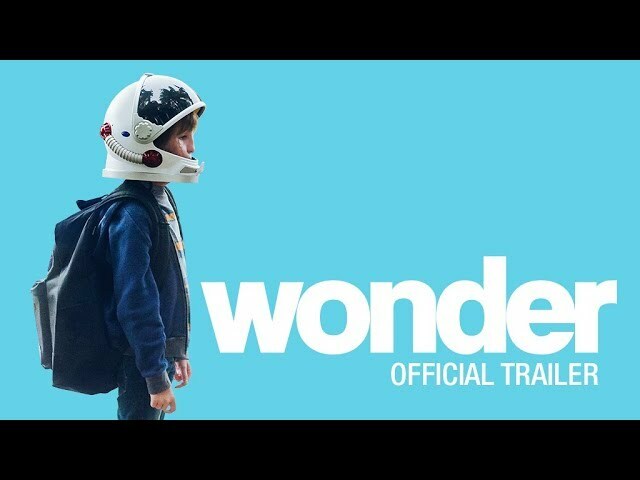 The film Wonder was scheduled to be released by Lionsgate and Lions Gate Entertainment on November 14, 2017 (Regency Village Theater), on November 17, 2017 (United States, Turkey) and on January 25, 2018 (Germany). The duration of the film is 113 minutes. With a budget of $20 million, the film grossed over $305.9 million. Wonder got high rating from critics. The audience also likes the film. Audiences polled by CinemaScore gave the film an average grade of "A+" on a scale ranging from A+ to F.